Posted February 28, 2018 by Sheri Bell and filed under the categories Apologetics, Resurrection, Stuff for Teens, Talk for Today. Scripture must meet exacting criteria to be included in the Bible. The “lost gospels” don’t make the cut. One argument used by critics to try to discredit God’s Word is by asserting that the Bible was developed via a power struggle. Namely, that what’s included in the Bible — and conversely what was excluded — was determined by a handful of men who happened to wield political power at just the right moment in time. Novels like The Da Vinci Code popularize this idea, though the claim is as false as most of the “facts” in Dan Brown’s fable. As we have clearly demonstrated in earlier blog posts in this series, the formation of the Bible was the result of exacting scrutiny by many people over many years. The Council of Nicea (AD 325), for example, did not determine which books should be in the New Testament. Neither did the Roman emperor Constantine. The 39 books of the Old Testament form the Bible of Judaism; the Christian Bible adds the additional 27 books of the New Testament. This complete list of books was found “acceptable” because the church deemed them to be divinely inspired books of truth. As new manuscripts come to light — including the lost gospels — some scholars wish to ignore the exacting standards demanded by the New Testament Canon. You’ve likely heard the media promote their arguments for including these “gospels” in the Bible, which they assert is “truth” that “enhances” our knowledge of Jesus. Let’s look at just four of these gospels, to help you see why they don’t belong in God’s Word — and why the Bible can be viewed as a historically accurate document, in large part because it has been so carefully vetted. 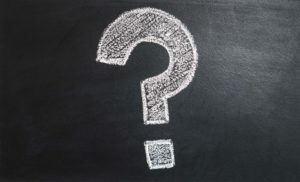 As books of the New Testament were selected for inclusion, a critical question was asked: Was a book written by an apostle or associate of an apostle of Jesus? Was it written near the time Christ lived and died? 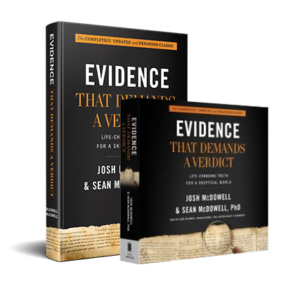 Archaeological evidence continues to validate the Bible Gospels, specific to details about persons, places, and timing. Eyewitnesses could have been called forth at the time of their writing to agree with or discredit the text. Can the “lost gospels” claim the same? No. The reasons given for rejecting these and other “lost gospels” are compelling. The main criticisms of these gospels and their authors: the Jesus they depict is not recognizable as the Jesus known in the Bible Gospels; they skew God’s nature; they contain errors on important Christian basics like sin, holiness, ethics, and redemption; and they can’t be proven to have origins among Jesus’ earliest followers. The date of a manuscript is key to determining the authenticity of writings outside the canon. Most weren’t written until the 2nd century and beyond. Let’s look at each gospel further. In 1945 a collection of codices (book form of scrolls) written in the Coptic language was discovered in Egypt. The Gospel of Thomas was among them. Scholars soon realized that three fragments of it in Greek had already been discovered in Egypt in the 1890s, with the earliest fragment dated at around AD 200. The gospel is a collection of 114 sayings, mostly attributed to Jesus. However, this Jesus is very different from the Jesus we know from the Gospels of Matthew, Mark, Luke, and John. Unlike the biblical Gospels, there is no narrative or discussion of Christ’s death and resurrection. Rather, the Jesus of the Gospel of Thomas provides secret truths only to those who are qualified to learn them. One group of scholars, known as the Jesus Seminar, communally believe the Gospel of Thomas to be superior to the biblical Gospels. Formed in the 1980s, these scholars stated their goal as the examination of the biblical Gospels and other early Christian literature to discover the actual words and deeds of Jesus. Yet this group of scholars had a bias against traditional Christianity: they viewed Jesus to be a mortal man (not God), who did not perform the miracles listed in the Bible, nor resurrect as Savior of the world. Nor did they view the Holy Spirit as having inspired the writing of biblical Scripture. So as they color-coded the words of Jesus in Mathew, Mark, Luke, and John — using red to indicate words they think Jesus most likely said, pink for words they think Jesus possibly said, grey for words they believe are close to what Jesus probably said, and black for words they believe Jesus did not say — more text was deemed black than the other three colors combined; these scholars coded almost the entire gospel of John black! But they deemed the Gospel of Thomas to be mostly red or pink, thus making it, in their minds, more truthful than John’s Gospel. In effect, the scholars of the Jesus Seminar were saying that they deemed themselves able to see Jesus more clearly than the early Gospel writers who actually had an intimate knowledge of Jesus. Now that’s arrogant! Vetted, historical evidence strongly suggests that Matthew and John personally accompanied Jesus, that Luke’s text included information from eyewitnesses and meticulous research, and that Mark ministered with Peter. And John’s Gospel includes numerous detailed references that have corroborated by archeological discoveries. In no way am I ignoring the reality that Christ’s words were not written down when He first spoke them. It is true His teaching were passed along by word of mouth over a period of decades, in keeping with the oral tradition. But we have to remember this was an honored tradition of careful digestion and memory. Few of us today could memorize even a small portion of what these men were able to commit to memory. We can trust the biblical Gospels. The Gospel of Thomas? Not. In the winter of 1886-1887, fragments of a gospel were found in a tomb in Egypt, in a codex. In the 1970s and 80s more fragments were published, believed possibly to be portions of the Gospel of Peter, which may have been written in the latter half of the second century. Though attributed to the disciple Peter, scholars do not believe he was the author, in part because of the dating of the text. The Gospel of Peter contains many similarities with the New Testament Gospels, including Jesus’ trial, crucifixion, burial, and resurrection. But it also contains fanciful elements — such as giant angels escorting an even larger Jesus from the tomb, followed by a cross that speaks. The text also exonerates Pontius Pilate of all responsibility for Jesus’ crucifixion, and implies that Jesus neither suffered pain nor died. This sounds like Docetism, an early Christian doctrine that asserted that Christ appeared after His resurrection not in human form, but in a spirit body. Docetism became an important doctrinal position of Gnosticism, which we mentioned earlier. This view robs the crucifixion of its power. If God was only “play acting,” then His gift to us was simply smoke and mirrors. And at the same hour the veil of the Jerusalem sanctuary was torn into two. And they drew out the nails from the hands of the Lord and placed him on the earth; and all the earth was shaken, and a great fear came about. Then the sun shone, and it was found to be the ninth hour. And the Jews rejoiced and gave his body to Joseph that he might bury it, since he was one who had seen the many good things he did. And having taken the Lord, he washed and tied him with a linen cloth and brought him into his own sepulcher, called the Garden of Joseph. Then the Jews and the elders and the priests, having come to know how much wrong they had done themselves, began to beat themselves and say: ‘Woe to our sins. The judgment has approached and the end of Jerusalem.’  But I with the companions was sorrowful; and having been wounded in spirit, we were in hiding, for we were sought after by them as wrongdoers and as wishing to set fire to the sanctuary. In addition to all these things we were fasting; and we were sitting mourning and weeping night and day until the Sabbath. Seven seals are used to seal the tomb of Jesus. A crowd from Jerusalem comes to see the sealed tomb of Jesus. The Jewish leaders camp out at the tomb of Jesus overnight. The Jewish leaders fear the harm of the Jewish people. This does not describe the historical situation of the Jews before the destruction of the Jewish temple in 70 A.D. The Resurrection story actually describes how Jesus exited the tomb with two giant angels, a super-sized Jesus, and a talking cross. In general, scholars do not use the Gospel of Peter for serious research on Jesus. A fragment of the Gospel of Mary — which tells the story of Mary Magdalene recalling to the disciples teachings Jesus had given to her privately — was discovered in the late nineteenth century; another two Greek fragments surfaced in the 20th century. No complete copy of the Gospel of Mary exists, and the three overlapping fragments comprise at most half of the gospel. Scholars don’t generally believe Mary wrote the text, nor can they agree on its date, though its gnostic view is characteristic of the later 2nd or early 3rd century. The fragments suggest that Mary shares her teachings from Jesus with Andrew and Peter, who both find what she says to be highly skeptical. Namely, Mary’s gospel rejects Jesus’ suffering and death as the path to eternal life, exposes the erroneous view that Mary was a prostitute, legitimizes women’s leadership, offers a utopian vision of spiritual perfection, and asks readers to rethink the basis for church authority. Modern writings, including the novel The Da Vinci Code, speculate that Jesus and Mary were lovers. This idea is fueled in part by the Gospel of Mary, which says that Mary was “much loved by the Savior, as no other woman,” though it doesn’t actually say they were married. In no other early Christian sources is there any reference to Jesus being married or having a wife. This 3rd-century Gnostic text, translated by the National Geographic Society over five years, was discovered in Egypt in the 1970s. Judas is “enlightened” via revelation, as Jesus tells him that he will be exalted over all the other disciples if he betrays Jesus. Why? Because in doing so he will help Jesus be freed from the confines of His earthly body. The “Judas kiss” then, in this text, is not a betrayal, but an act of loyalty toward Jesus. Scholars who view this account as plausible, therefore, see Judas’ actions as heroic. April D. DeConick, a professor of biblical studies at Rice University, says the positive spin the National Geographic Society puts on the document isn’t even supported by the documents itself. Prior to the discovery of this text, the only reference to this gospel was in the writings of Irenaeus, a Christian who lived in the 2nd century. Irenaeus basically wrote that the Gospel of Judas was the “invented history” of a long line of heretics and rebels against God. Based on the above descriptions of these “lost gospels,” do you think they support biblical Scripture — or in any way enhance or further our knowledge of who Jesus is and what He came to earth to do? Scholars with a Gnostic view would have us believe that Jesus was simply a “revealer of wisdom and knowledge,” who can lead us to an “inner knowing.” Clearly, this Gnostic slant is why these lost gospels have not been included in the Bible. As the four Gospels of the Bible clearly tell us, Jesus was not interested in “secret” messages that only an “enlightened” few were able to comprehend. He wanted His message of forgiveness and grace and acceptance spread far and wide, to any who would hear and listen and accept its truth. Modern scholars can’t change that. « The Bible: How Big a Deal is Human Error?